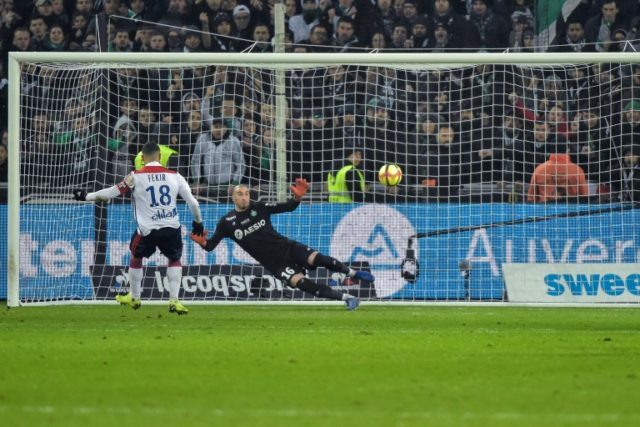 Paris (AFP) – Moussa Dembele grabbed a stoppage-time winner for Lyon in a 2-1 victory over bitter foes Saint-Etienne on Sunday, while Marseille snapped a wretched run of nine games without a win as they beat Caen 1-0 in Ligue 1. An unmarked Dembele headed over in the dying stages after coming on as a substitute, but the forward made no mistake with another chance moments later to floor the hosts. Lyon climbed back above their rivals into third place after dealing Saint-Etienne a first home loss of the season. He also provided an update on Payet, saying he was unsure whether he would be available for next week’s visit of Lille. “I don’t know. It’s never good when it’s the knee,” said Garcia. Marseille moved up to seventh and to within six points of the Champions League spots after inflicting a fifth home defeat in six outings on a Caen outfit with just three wins all season. Meanwhile, Thierry Henry’s nightmare spell in charge of Monaco took another turn for the worse as Cesc Fabregas gifted Strasbourg a goal and fellow new signing Naldo was shown a seventh-minute red card in a 5-1 home humbling.